Arrive at Arturo Merino Benitez International Airport by 10am local time on Sunday (this will mean you will leave the US on Saturday). We will meet as a group just outside of Customs on the right hand side near the couches and coffee stand. 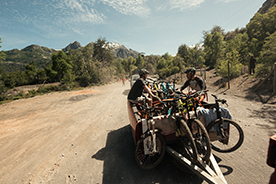 Once we have located our group, we will load our luggage into vans and transfer to a flight to Concepcion. We will arrive at 5pm and take a private coach two and a half hours to Las Trancas. 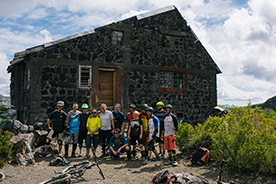 We'll get into the Rocanegra Mountain Lodge for dinner and check-in and get a good night’s sleep after setting up our bikes. You are responsible for lunch and snacks this day. Meet for breakfast at 7:30am to outline the day and get to know the group. Enjoy breakfast at the lodge before heading into Valle Nevados for our first day of guided riding. We'll eat lunch on the trail and return to the lodge in the afternoon. 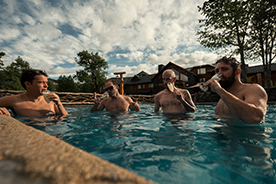 You'll have time to relax for the evening, order some snacks, and jump in the hot tub before a 9pm dinner. You will be responsible for your lunch on this day. REPEAT! Take a truck for some early morning riding. If the group is up for it, stop in town for lunch - try a completo and piscola. If you need something sweet, make sure to pick up alfajores (dulce de leche cookies) at the corner store on the way home from the mountain. Breakfast at the lodge followed by guided enduro riding around Valle Las Trancas (Fumarolas, Renegado, Garganta, Palo Huacho, Reserva Nuble). 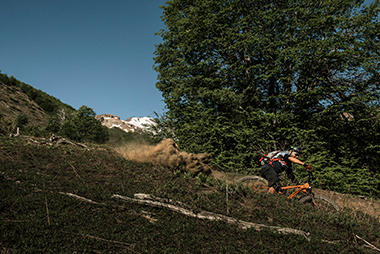 After riding, we’ll head back to the lodge for dinner or a traditional Chilean BBQ. REPEAT! If you need a break, take the opportunity to lounge at the pool or explore the incredible hiking in Valle Rocanegra. Consider grabbing some pizza and a piscola at Chillin' - the local pizza place. You are responsible for your lunch on this day. Eat breakfast, pack up, and check out by 9am. As a group, we will take a private coach to Santiago and check in at the Grand Hyatt You'll have the day and night to explore Santiago. We will make an optional group dinner reservation and have recommendations for the group: visit to the Museo de las Memoria y los Derechos Humanos, wander through Barrio Bella Vista, and hike up San Cristóbal Hill. You are responsible for your lunch and dinner, as well as transportation in the city on this day. Daily guided riding (two guides with the group). 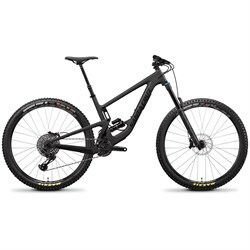 Extra fees associated with bike shipping (it may cost up to $150US each way). Transfer from Santiago to the airport on Sunday (approximately $15US). 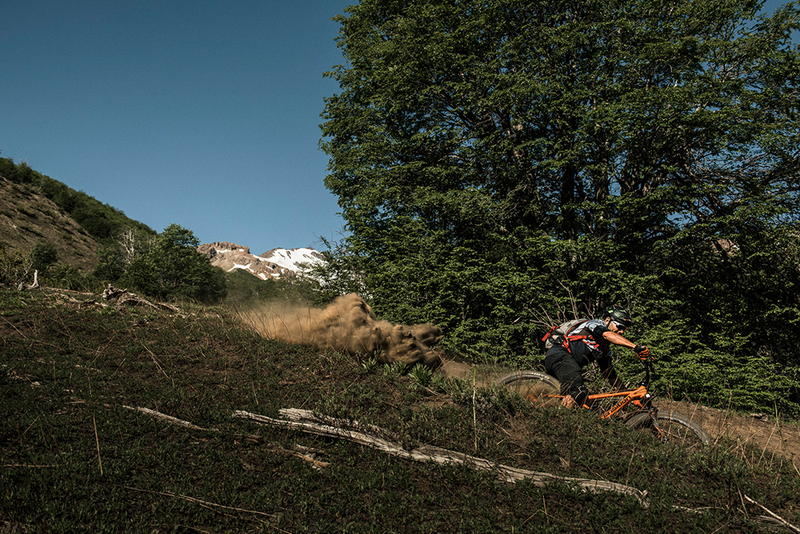 With the tallest mountains in the Southern Hemisphere, the Andes Mountains are host to a burgeoning mountain bike scene. 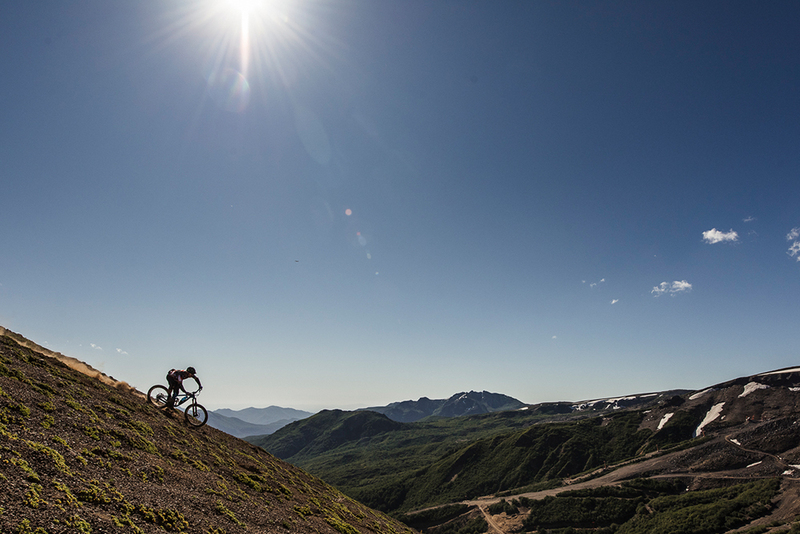 When you factor in the amazing scenery and sunsets, delicious food and fine local wine, welcoming culture, and top notch terrain, we believe you’ll fall in love with the Chilean experience, too – and we can’t wait to share it with you. 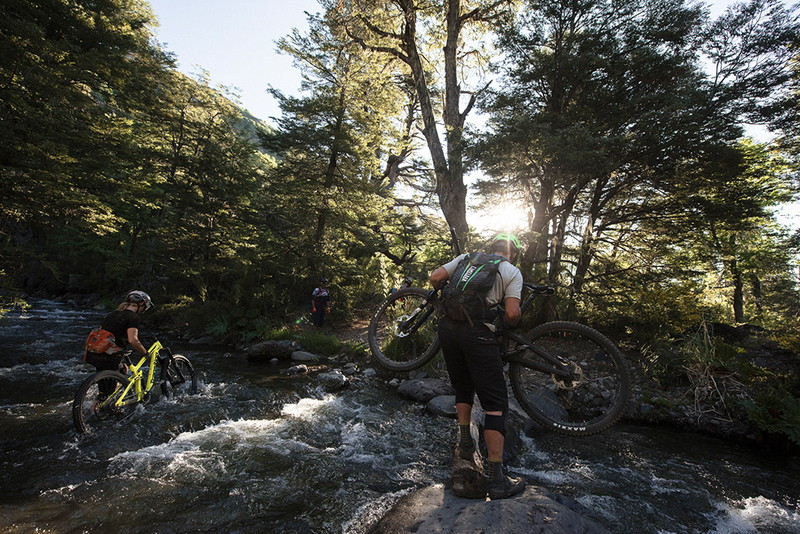 evoTrip Chile provides unparalleled adventure in this rapidly developing mountain biking paradise, some of the trails featured in the Enduro World Series – all from the comfy basecamp of the amazing Rocanegra Mountain Lodge. 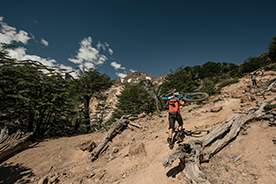 Our Chile Mountain Bike Trip is recommended only for intermediate to advanced riders, and we require that you bring your own bike for this trip and are able to set it up on your own. May is Fall in Chile and we'll be in the mountains. You should be prepared for all weather. 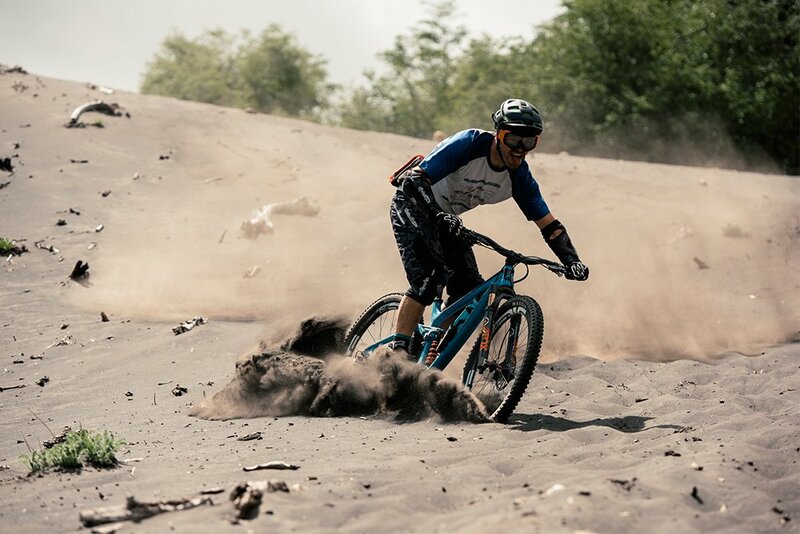 We do plenty of pedaling and get some shuttles for the trail riding in the Reserva Ecologica, so a bike that’s got enough burl and travel to handle the rigors of rough trails and still climbs decently is probably the best bet – enduro-style bikes with 5-6 inches of travel in the 30-35 lb. range fit the bill nicely. Check out Matthew Slaven's packing list, too! Can I choose my roommate or book a private room? Yes. If you have a roommate request, please let us know. By default, we will place two people per room with two beds, but we may have the ability to place 3 or 4 together as well. We may be able to reserve a private room for an additional fee of $600. 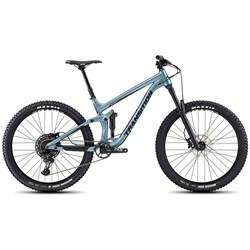 What type of rider should I be for this trip? 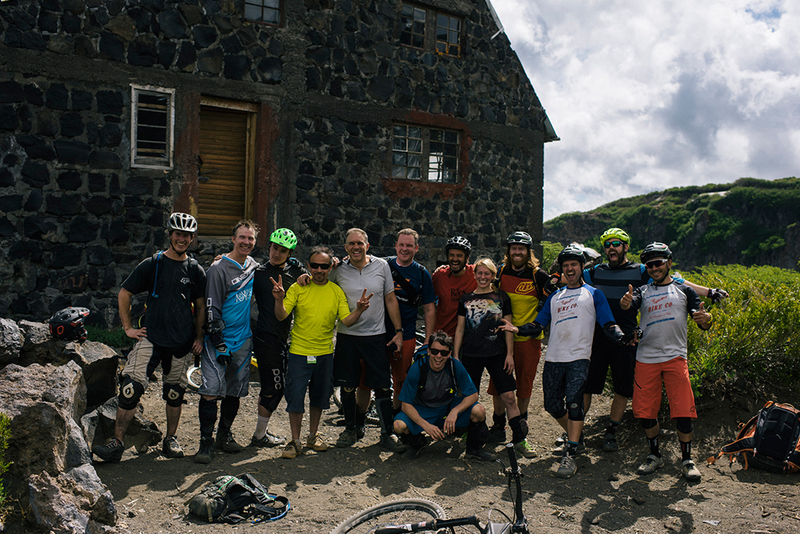 We recommend this trip for intermediate and advanced riders only. 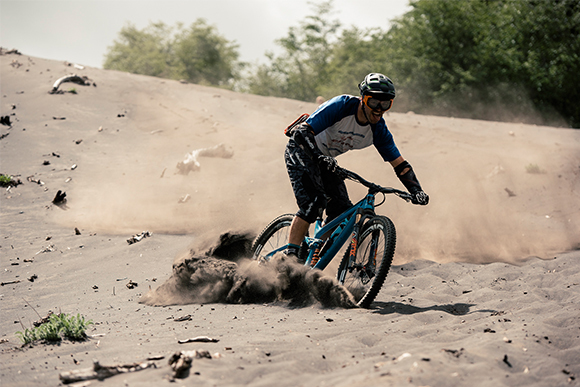 There is difficult terrain and the trip will require a high level of fitness. Please call us if you would like to discuss further at 1.866.386.1590. We recommend that you bring your own gear. 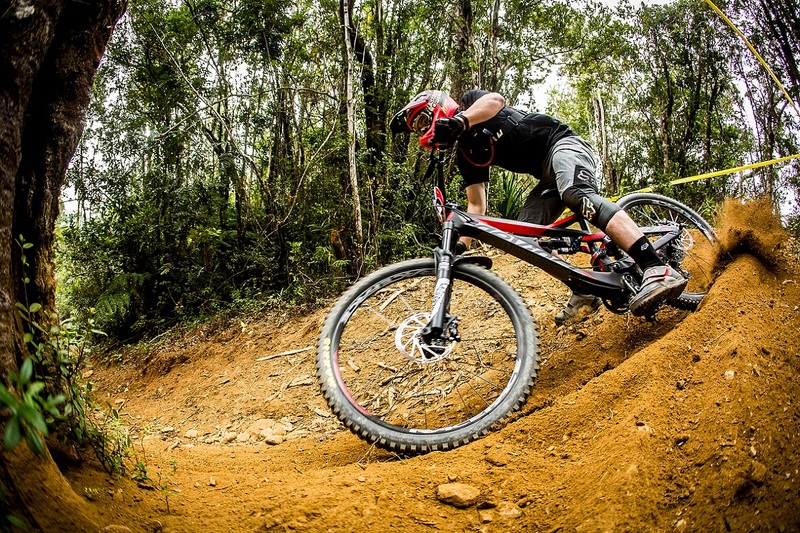 The mountain has a limited number of Mongoose bikes available, but we highly recommend bringing your own bike. Can I (or my partner) come even if I don’t bike? Yes. 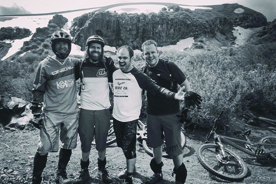 The primary activity on these trips is biking; however, there may be options if you or your loved one does not currently participate. There are limited opportunities for other activities such as visits to a spa, yoga or hiking and the location is beautiful and relaxing. If you are interested in this option, we can provide a $250 trip discount. Please make a note in your booking and we will follow up. Transportation by private coach from the airport to Rocanegra Lodge and from Rocanegra back to Santiago. 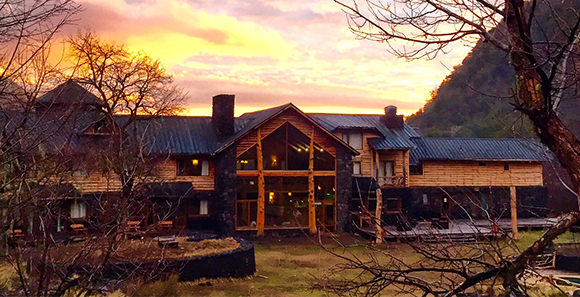 Six nights stay at Rocanegra Lodge and one night at a hotel in Santiago. All breakfasts and dinners at Rocanegra Lodge and a wine tasting from Santa Berta Vineyard. Five lift tickets for at Nevados de Chillan. Recommendations for food / drink and entertainment in Santiago. Airfare – you will cover your own airfare for the trip and costs associated with traveling with your equipment. You must arrive at Arturo Benitez Santiago Airport by 10:00am on the first day of the trip. Most lunches and any beverages with meals, any additional expenses at the lodge– we will provide recommendations, but any expenses will be out of pocket. Transportation from the hotel in Santiago to the airport (options include bus or taxi and cost approximately $15). Taxi rides or any transportation in Santiago. We highly recommend that you purchase travel insurance to protect your flight and belongings. 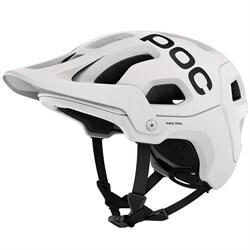 Any rentals of bike and safety equipment. Yes. For meals provided by the lodge/evo (breakfasts and one dinner), there will be options available for both. It will be easy to avoid gluten in Chile. Being a vegetarian in Chile is easy, but not necessarily delicious. We do recommend that you bring snacks along just in case. Halal: while there are no Halal restaurants in Las Trancas, there will be many meal options available by avoiding meat. 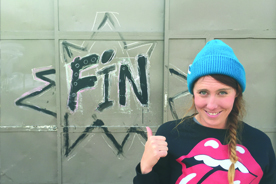 Kosher: while there are no Kosher restaurants in Las Trancas, there will be many meal options available by avoiding meat and we are able to provide a translated list of kosher fish. We do recommend that you bring some snacks just in case. The deposit for the trip is non-refundable and cancellations will be subject to a cancellation fee (see policy below). For this reason, we recommend you consider purchasing travelers insurance, which will cover the cost of your trip in extenuating circumstances. All cancellations must be submitted to the Company in writing, are effective as of the date we receive them according to our internal records, and will be subject to a cancellation fee as follows (amounts are per person and only apply to amount paid after the non-refundable deposit amount): Cancellation 60 days or more prior to trip departure - Non-Refundable Deposit. Cancellation between 30 and 59 days prior to trip departure - 50% of total booking cost. Cancellation less than 30 days prior to departure - 100% of total booking cost. Cancellation policy for custom trips may differ from these terms and will be communicated prior to booking. You can pay the full amount now, but we will consider $1,000 to be a non-refundable deposit in accordance with the contract.The full payment is due 60 days prior to departure. My overall trip experience was awesome! 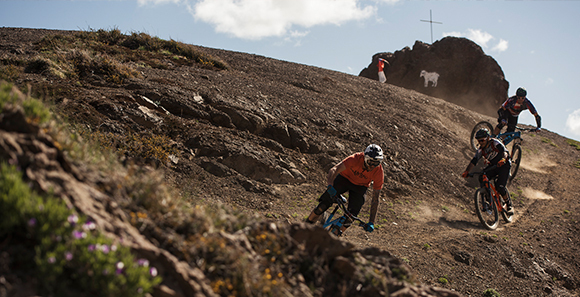 The riding, Rocanegra, people, food and everything else was way above expectations. The dirt is unlike any dirt we have seen. It is truly like skiing in powder with tons of grip to slash corners. Chile is one of those magical places that every mountain biker that loves to travel should put on their list to ride.